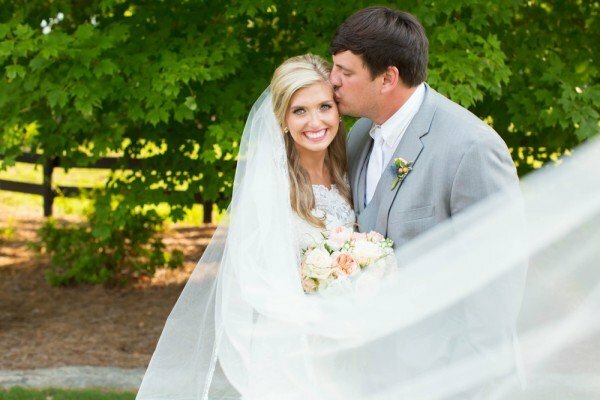 This couple made us all feel happy! from the first meeting held at the fabulous Foxhall Stables we knew this would be beautiful because everyone involved was happy and open hearted. Truly a gift for us all. 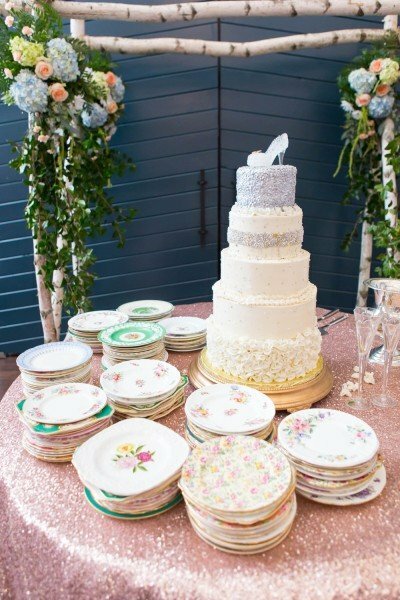 The planning involved a color palette based around soft blues and blush.The magical theme featuring a glass slipper atop her divine cake was inspired. 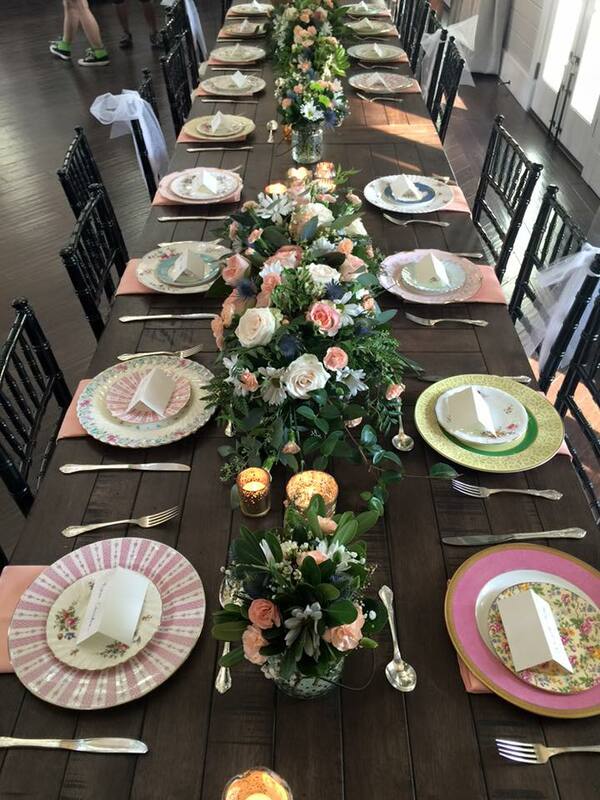 With a large guest list it was decided to mix farm tables with rounds with linens. This creates a relaxed feeling that this couple were looking for. 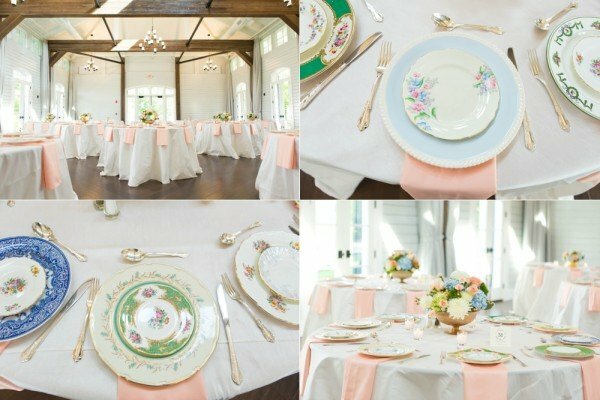 The interior of the Stables is a soft grey and so the heat of the day for this summer wedding was calmed with the color palette and the decor. 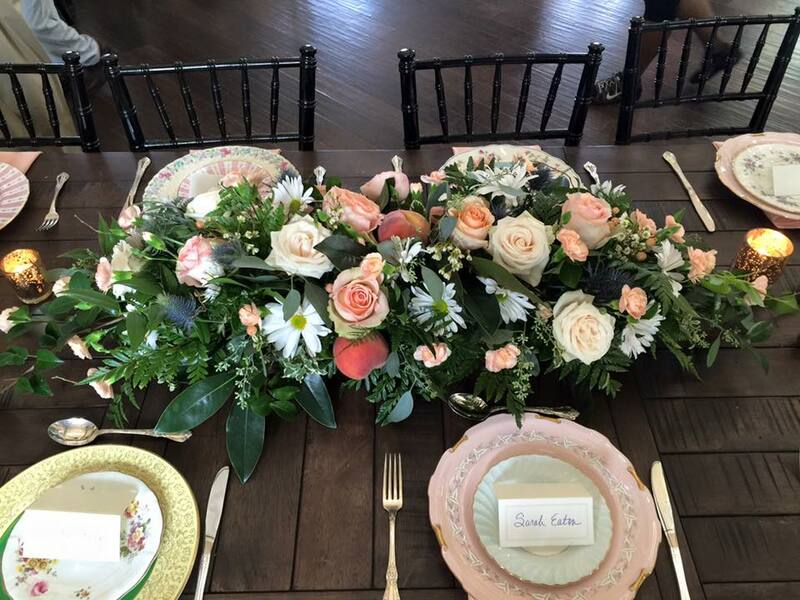 The linens were chosen for softness and texture. The cake table being as it was magical! was a mass of pink sequins.Perfect for that special moment. 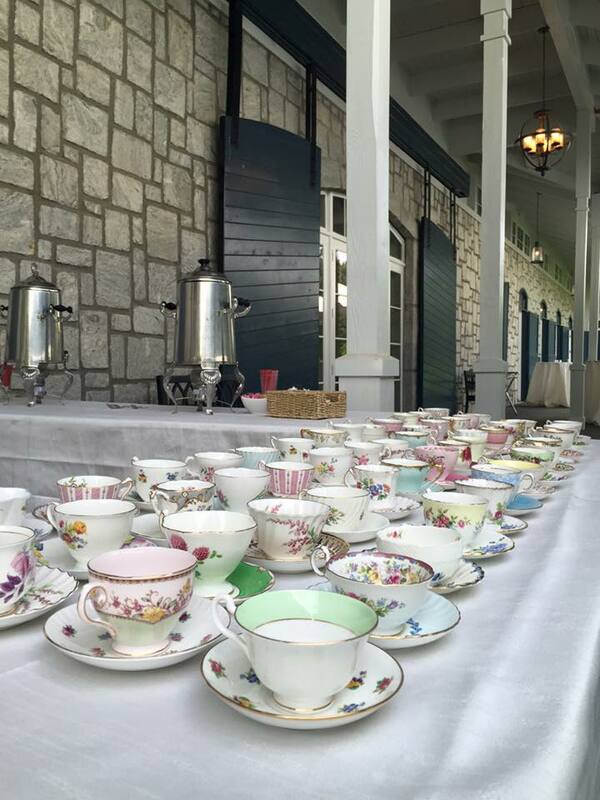 The tables were laid with my china in a riot of summer color. The wow factor was there in abundance.This gives your guests something unexpected to talk about the moment they enter the room. Who deosnt have a family story of eating at Grandmas on her special fine china dishes?We then created with a long Gourmet coffee station featuring hundreds of vintage fine china tea cups.Gorgeous to look at but more importantly magical to drink from for a memorable part of this special day. At the cake cutting we piled our cake plates all around this magical cake which featured a glass slipper on top for the girl who found her Prince.Stunning and meaningful this couple and their families are truly some of the nicest clients I have ever worked with. 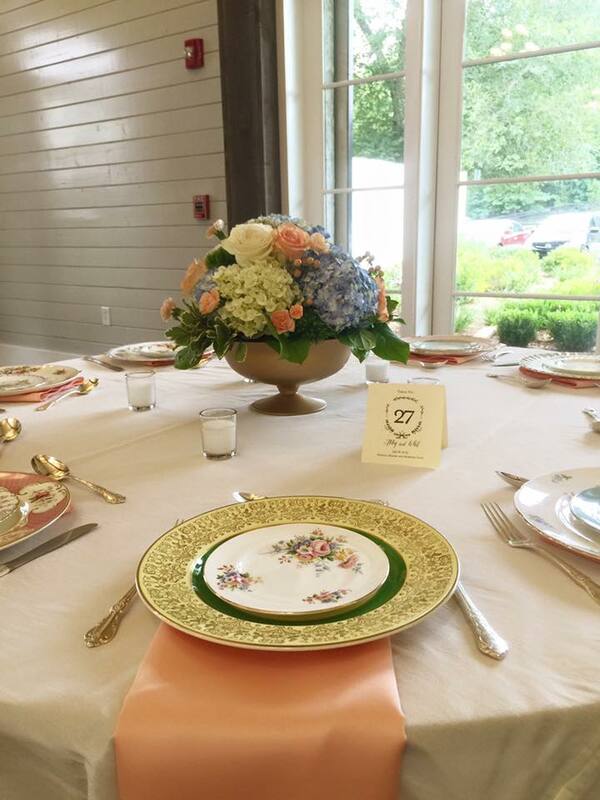 foxhall resort, faith flowers atlanta, idolinens, lowcountry catering, Invision Events, Sweet creations by candi, Joyfully Lauren.